If you haven't paid any employees for at least one tax month, and thus no FPS submissions have been made, this must be reported to HMRC via the EPS. 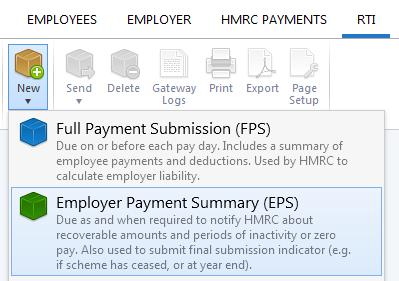 The EPS must be submitted by the 19th of the month following the tax month when no employees were paid, to avoid HMRC sending a notice estimating how much you owe. This may also result in a penalty. 4) Enter the start date of the first tax month in which no payments were made. This must always be the 6th of the month, and cannot relate to a tax month in the future. 5) Enter the end date of the tax month in which no payments were made. This must be the 5th of the relevant month and cannot be a date in the future. Please note: the 'no payment for period' utility can only be used to report no payments made in the current tax month or earlier tax months. 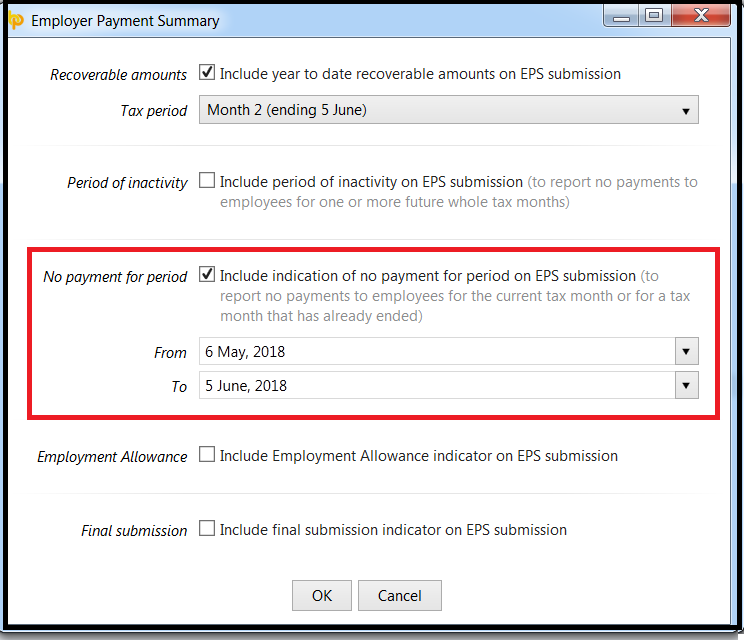 To report in advance that you will not be making payments to employees for future tax months, a 'period of inactivity' must be completed instead on the EPS. For assistance with this, click here.